STANDING OVATION TONIGHT! Love when everyone gets to their feet. Add my thanks to everybody for an exceptional (if unique!) program/experience! As usual, Julia, good job and thank you for doing this! To everybody: It's been a pleasure talking to you all. Good night, and goodbye for now! LOVED the music of the Steele's!! That song in the 4th segment was the most beautiful gospel song I've ever heard!! Absolutely astonishing and uplifting. Thank you so much! 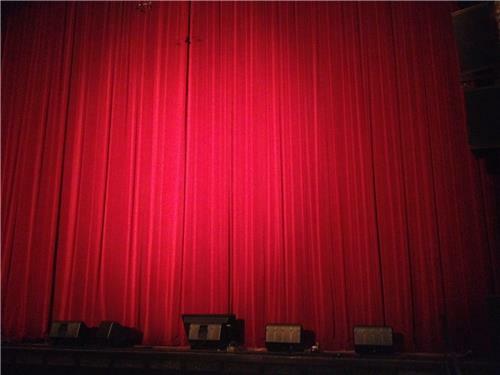 That's a curtain down on the video. Thank you all for your feedback! I know we have some great ideas and notes here. Confession: I loved this too. Please continue the live video feed. So wonderful! "he reminds me a bit of Arlo" Arlo was one of my first and best record buys. Farewell Garrison. Hope to see you next week. time to go home 4 me from work! Thanks from Turlock California! great show!! Judy Lew, you are correct! I should have reminded folks. And archive video pops up during the week. Listen again ? YEAH ! Thanks to @juliaschrenkler , Ananda Bates and Preston Wright for helping out with our interactive stream the last few weeks! Nudsy Annie, I'm a Public Radio Digital Producer here in Minnesota. Yes, Thanks Julia, Ananda,and Preston. Has the chat line here closed yet ? The guys are still with the video equipment, but here's the video/online credits before the chat cuts off: Ben, Preston, Ananda and me! Will there be any more live video shows? You know who else gets credit for the fun online tonight? You. Not joking, not cheezey. It wouldn't be fun without your questions and knowledge. Thanks for experimenting with us. Just want to say that being able to see Garrison perform his radio magic is a really great treat ! 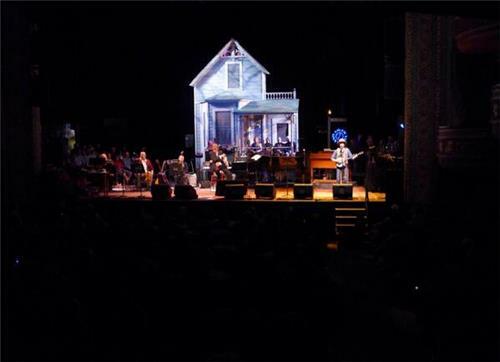 We have no immediate production plans for live video streams, but subscribe to A Prairie Home Companion email newsletter to keep up on the news... that is, the show news. Have a good night all!